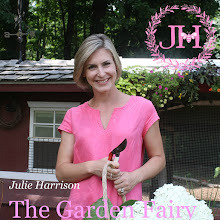 Julie The Garden Fairy: Plants Sending Out an SOS? We finally have some relief here in Connecticut from a heat wave- I actually had to wear a fleece this morning while watering my containers! While the heat is no longer with us, the effects of the heat are, especially for plants. 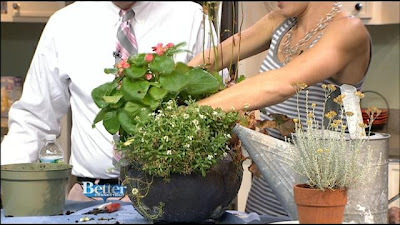 Watch the segment I did with Scot and Kara from WFSB's Better Connecticut that talks about what you can do to help your plants recover from the heat by clicking HERE. 1. Remove any damaged (dry and crunchy) foliage and deadhead. 2. Make sure your potting mix is well hydrated. Give your pots a good soak for an hour or so and then allow them to drain. It's not the prettiest, but it must be done. 3. Give your plants a little snack of a low dose fertilizer. I like this Organic Plant-tone because it feeds and adds microbes to the soil.